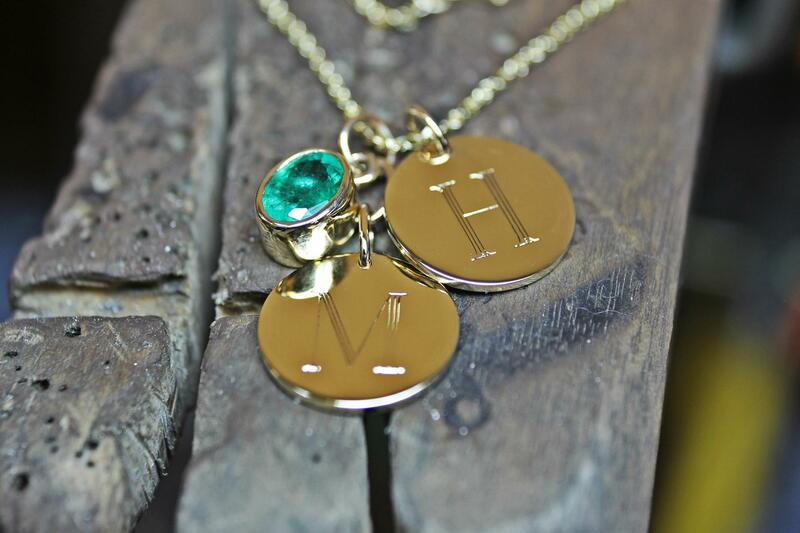 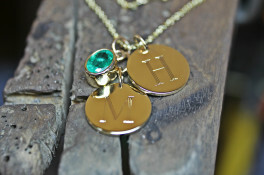 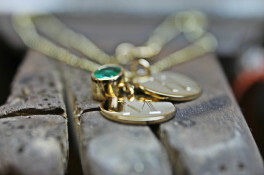 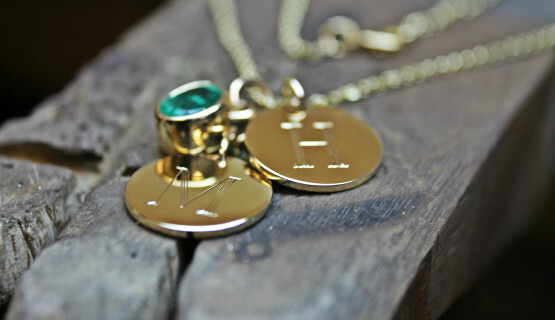 Two 16mm 9K gold disc pendants engraved with the two children’s initials accompanied with a vivid 1.19ct emerald. 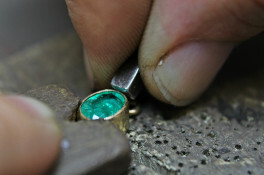 As a gift for his wife and mum to their children the emerald was selected as her favourite gemstone. 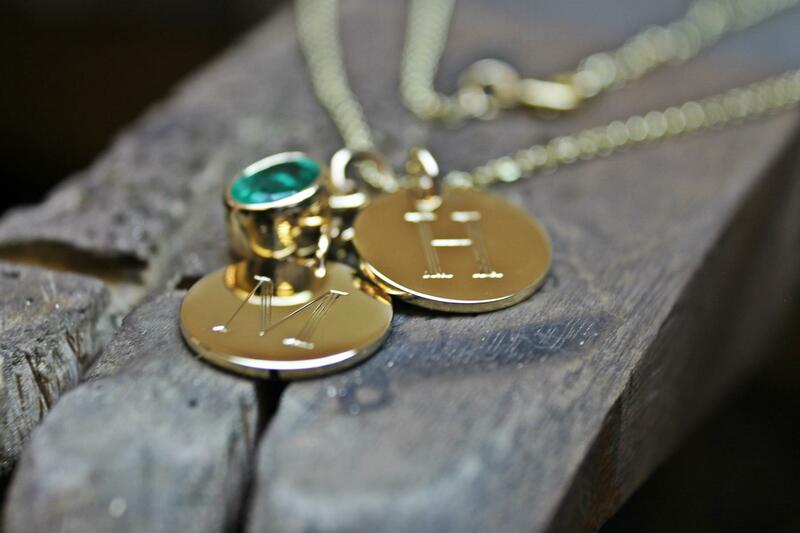 Bespoke orders on our disc pendants can be configured in different sizes, types of metal, engraving options and various gemstones. Our standard diamond cut trace chain 9k gold accompanies the pendants.